National Catholic leaders expressed disappointment with the decision of the U.S. Supreme Court in the case of United States v. Texas, in which 34 states have challenged immigration guidelines issued by the Secretary of Homeland Security, relating to the Deferred Action for Parents of Americans and Lawful Permanent Residents (DAPA) program and expanded Deferred Action for Childhood Arrivals (DACA) program. For over fifty years, USCCB Migration & Refugee Services has helped create a world where immigrants, migrants, refugees, and people on the move are treated with dignity, respect, welcome, and belonging. For over fifty years, Migration & Refugee Services has welcomed the newcomer —the immigrant—to this great country and helped them get on their feet, facilitating access to education, healthcare, language assistance, employment, and much more. The Court’s decision today does not change that. That said, the decision is a huge disappointment; it means millions of families will continue to live in fear of deportation and without the immediate ability to improve their lives through education and good jobs. However, in the wake of this opinion, we must also focus on the bigger picture: comprehensive immigration reform is necessary to fix our broken system. We need to bring people out of the shadows. We should not separate families. While today’s decision is a setback, we must not lose hope that reform is possible. It is both necessary and possible to safeguard our immigration system in a humane manner. People do not cease to be our brothers and sisters just because they have an irregular immigration status. No matter how they got here, we cannot lose sight of their humanity — without losing our own. Let us pray for all of our immigrant brothers and sisters today. Columban missionaries are disappointed in today’s split decision by the Supreme Court on United States v. Texas. The split decision in this case leaves millions of families, including those in Columban parishes and communities, in fear of being separated and torn apart. Our faith tradition calls us to do better, to have compassion, and to welcome the stranger. In the face of this decision, we will continue to seek justice for our migrant sisters and brothers. Columbans stand alongside those families affected by today’s decision. We will continue to work for permanent and lasting reform to our immigration system so we no longer see families and communities traumatized by inhumane treatment including raids, detention, and deportation. Now, more than ever, we call on both Congress and the administration to uphold the values of family unity and human dignity. The Sisters of Mercy lament the split decision by the U.S. Supreme Court that in effect will continue to delay implementation of President Obama’s 2014 executive order that would have offered temporary deportation relief for certain undocumented immigrants who pose a low safety and security threat. With 6.1 million U.S. citizens living with a family member in danger of deportation, that leaves countless Americans at risk of becoming impoverished and separated from loved ones. President Obama’s order provided temporary relief from deportation and temporary work authorization for undocumented immigrants brought to the U.S. as children. It offered the same provisions to certain undocumented parents of children who are either U.S. citizens or Legal Permanent Residents. The Court’s 4-4 decision means the case will return to lower courts, where it could be held up indefinitely. The current injunction against the order’s implementation will remain. The Sisters of Mercy have long protested a practice of deportations of immigrants that tears families and communities apart. 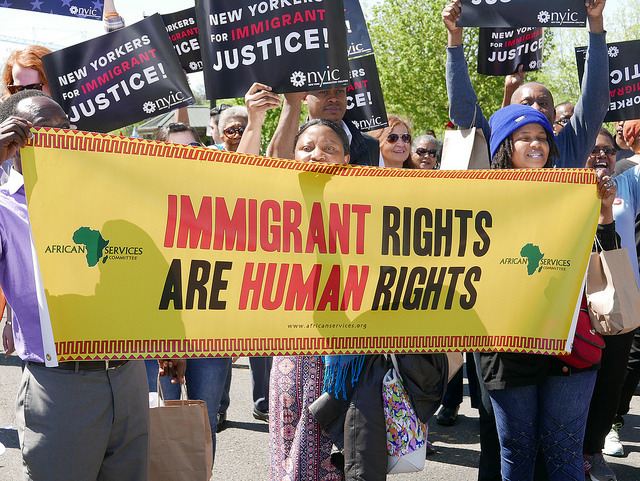 The Supreme Court’s decision stiffens our resolve to continue to advocate for comprehensive immigration reform legislation that keeps families together and creates a pathway to citizenship for all undocumented immigrants. We also will continue to unmask the root causes of migration and inform government officials of the implications of the United States’ policies in Latin America. DAPA and DACA are commonsense programs that are responsible efforts to prioritize resources and protect families. The Supreme Court had an opportunity to provide clarity and guidance for the nation. Instead, they turned their backs on the immigrant parents of U.S. citizens and children who only know the U.S. as home. Our communities will continue to suffer as a result. We urge President to roll back family detention policies while millions of Americans are waiting in limbo for Congress to act on immigration reform. The Supreme Court decision in the US v Texas case. It stands as a clear example that common sense along with freedom from the fear of being in detention and deportation is not quite as important as political partisanship. The Franciscan Action Network (FAN) is deeply disappointed in the outcome of today’s Supreme Court’s deadlock decision on the expansion of DACA and DAPA. The Supreme Court had an opportunity to ensure that families are kept together. Instead, they have proven to our immigrant brothers and sisters that they must live in fear. They have shown Americans that it is acceptable to demonize those who are living in the shadows. While this is a setback for immigrant families, the battle is not over. FAN will not stop advocating for our immigrant brothers and sisters until every member of our community can live in dignity, without fear of being separated from their families. Immediate action must be taken. FAN calls on Congress to once again take up comprehensive immigration reform and to confirm President Obama’s Supreme Court nominee. FAN calls on President Obama to stop deporting our immigrant brothers and sisters who are escaping gang violence and war in their home countries. FAN implores the Department of Justice to continue to work aggressively in defense of the legality of these programs. We urge them to seek a rehearing before a full court as soon as possible. Immigrant families — and all Americans — deserve a decisive answer, not a hung jury. The stakes are simply too high. The Supreme Court’s 4-4 ruling today in U.S. v. Texas shatters the hopes of millions of immigrants who might otherwise have obtained temporary relief from immigration enforcement under two Obama administration programs. “We’re extremely disappointed,” said Jeanne Atkinson, executive director of Catholic Legal Immigration Network, Inc., the largest network of nonprofit immigration legal services programs in the nation. The decision leaves in place the November 2015 ruling by the 5th U.S. Circuit Court of Appeals that affirmed a Texas District Court from February 2015. That ruling blocked President Obama’s executive actions that would expand Deferred Action for Childhood Arrivals, known as DACA, and create the Deferred Action for Parents of Americans and Lawful Permanent Residents program, or DAPA. The original DACA program is not affected by the injunction. The case was a challenge by 26 states to the November 2014 presidential orders to expand access to DACA and create DAPA, a similar program for the parents of U.S. citizens and lawful permanent residents. An estimated 5 million people could have potentially benefited from the two programs. The DACA expansion would have allowed a larger segment of people who came to the United States as minors to be granted deferral of deportation and a work permit. DAPA would have been a similar program for the parents of U.S. citizens or legal permanent residents, offering the same benefits. Immigrant legal services organizations nationwide, including nearly 300 who are affiliated with CLINIC, will continue to assist immigrants with evaluating whether they are eligible for DACA and whether they have other paths to remaining legally in this country. 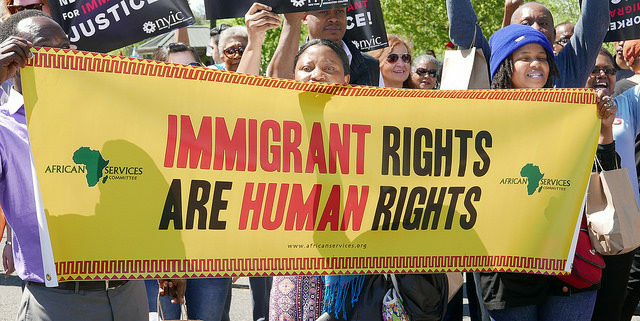 We continue to stand with the United States Catholic Bishops, the U.S. Jesuit Provincials, and many other Catholic partners in asking for immigration policies that: create a process for undocumented immigrants to earn citizenship; keeps families together; and respects the rights of workers; protects those most vulnerable, especially women and children. We also call on the Obama administration to refrain from the use of immigration raids and deportations that marginalize families and immigrant communities.